Ramallah has become the cultural and economic hub of the West Bank, superseding East Jerusalem as the vibrant center of Palestine. This tour is designed to give you a taste of modern Palestinian lifestyles and culture. The tour departs from Jerusalem for the short trip to the forbidding Kalandia Checkpoint which divides the Jerusalem neighborhoods of Kufer Akab and Ar Ram. Once through the checkpoint the group will meet the Palestinian guide and continue into Ramallah. 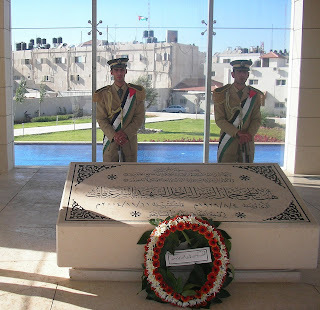 The first stop is President Arafat's tomb, a rather austere structure where tourists are limited to a ten-minute visit. From there the group will walk to the city center, arriving at Al-Manara Square, an important city landmark at the center of town. 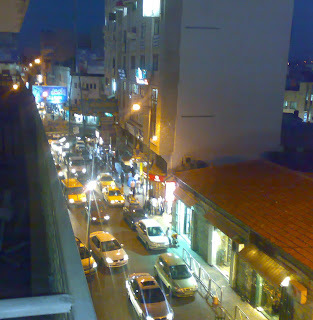 This bustling crossroads is a hive of activity and the main shopping area for Ramallah residents. After cruising the streets there will be a visit to a Palestinian NGO, video studio, or cultural center with the opportunity to meet Palestinian professionals involved in different fields. Then there will be a break for a traditional Palestinian dinner followed by a night life experience where you will have the opportunity to meet more local people, and an evening walk with a chance to sample Ramallah's famous Rokab ice cream. The evening ends with a trip on Palestinian public transport from Ramallah back to Jerusalem through the Kalandia Checkpoint. 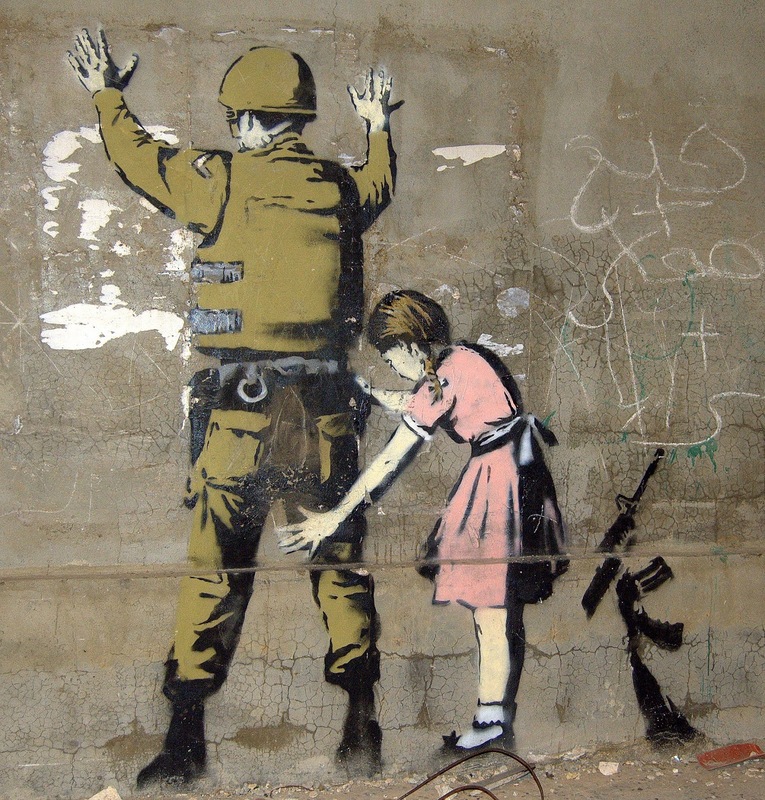 The current renaissance in Ramallah is linked to the decline of East Jerusalem in recent years due to the Separation Barrier and the Israeli prohibition of entry to Jerusalem for the vast majority of Palestinians. 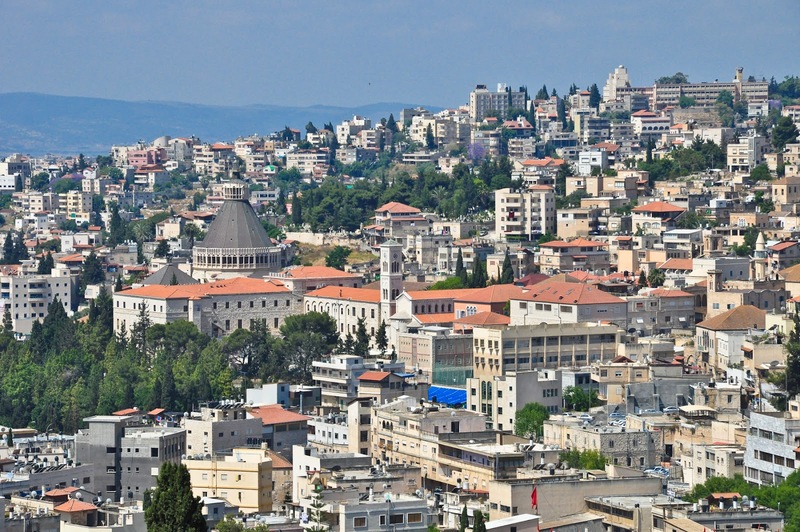 Ramallah is built on 19,000 dunums of land and located 16 kilometres north of Jerusalem. In the middle of the 16th century, Rashed Hadadin, the founder of the city of Ramallah, led his small caravan across the arid hills of Jordan to a location not far from Jerusalem. At that time he was not aware that he was laying the foundations for a new, promising town in the heart of Palestine called Ramallah. Rashed asked him for some time to prepare the bride but, instead, he decided to flee, with the help of Tamash Taweel, a member of a smaller Muslim tribe in Karak. They fled with their families, crossed the Dead Sea near the shallow part called “Makhadet Allisam” and planted scythes, spears, and swords after they crossed. The next morning, Ibn Qaysum learned what happened and followed in their footsteps, but it was too late. Rashed’s five sons - Sabra, Ibrahim, Jiryes, Shkeir, and Hassan - settled in Ramallah. The eldest son, Sabra, gave birth to five other sons: Yousef, Awwad, Issa, Khalid, and Azeez. The land was divided evenly among all, and they started working in agriculture. A census taken in 1562, during the Turkish reign over Palestine (1517-1917), showed that the inhabitants of Ramallah consisted of 63 Christian families, 8 Christian single men, and 8 Muslim families. The aim of the census was to collect taxes. Immigration to Ramallah can be divided into a number of stages. First, there was the immigration of Rashed Haddadin and families from Karak. Then came the immigration of the Ajlouny families in 1750, the Hishmeh families in 1775, and the Araj, Zagroot, and Shahla families, who left Deir Aban near Jerusalem around 1810, for both religious and economic reasons. Later, around 1855, some smaller families, such as the Yousef Audi family, immigrated to Ramallah. And finally, the Palestinian refugee population fled to Ramallah in 1948 as a result of the Nakba. On May 15, 1948, the British Mandate of Palestine expired, and their forces pulled out leaving the country in turmoil. As a result, thousands of refugees fled their towns and cities. Many were driven out by the Stern Gang and the Irgun, both of which were Israeli terrorist groups. The refugees went east and settled in the hilly countryside in and around Ramallah. According to the 1953 census, there were 13,500 people in Ramallah - 5,000 Ramallah natives and 8,500 refugees. That was the largest influx of people to come and settle in Ramallah during any one period of time. Today there are over 300,000 people living in the city. Ramallah was incorporated as a city in the year 1908, with Elias Audi as its first mayor. Since then 26 mayors have been in charge of the municipality. The twenty-fourth mayor was an Israeli who was appointed by the Israeli military governor. In 1994, the Palestinian Authority took over and, later, Dr. Issa Ziadeh was appointed mayor of the city. After he passed away, Mr. Ayoub Rabah took over until a new election was held. At present, Janet Michael is the city’s mayor. 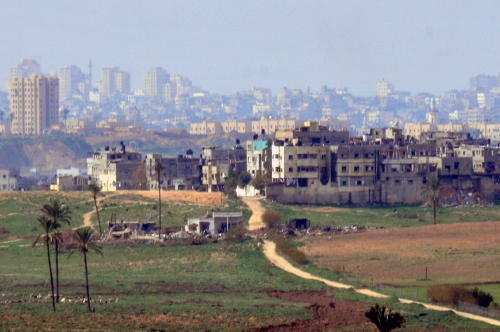 In recent years Ramallah has expanded in all directions, especially to the west where thousands of new houses and buildings cover the al-Tireh area and surroundings. Ramallah today is not only the home of its inhabitants and hundreds of international residents, but also the temporary administrative capital of Palestine. People here enjoy openness, tolerance, and a multitude of cultural and educational activities.